Michael Hanna-Fein was a very special person in many people's lives. In this article, I will be discussing the impact that Michael made in my life. I got to know Michael when first I wrote for Being Jewish and then I began to write for The Gantseh Megillah. I soon had a monthly column in The Gantseh Megillah. As a mentor, Michael was always encouraging and regularly made a point of telling me how much I had improved as a writer. I was very saddened to hear of Michael's death and it motivated me to think about what he meant to me. Michael had an ability to help other people feel like they were not being judged and that they were completely respected and valued as human beings. He certainly made me feel completely valued and respected. Although I sadly never had the opportunity to meet Michael in person, I came to regard him as an adopted grandfather figure in my life. I will never forget the kindness that Michael showed me on a personal basis. One piece of advice that he regularly gave me was that I should always trust my own judgment and that I should pursue what I would like to accomplish in life. I am convinced that I am a stronger person, emotionally, as a result of knowing Michael. That is a true gift that Michael gave me. For instance, I am an Orthodox Jew and although Michael did not decide to live an Orthodox lifestyle, he was very supportive of my decisions. We often talked about how, just as I had profound respect for him as a person, he also had profound respect for me as a person. One conversation with Michael that I am never going to forget is our last phone conversation. Michael was in the hospital and was in a lot of pain. I was impressed then and I am impressed now that despite the pain that he was in, Michael made a point of asking about how I was doing and he made sure to communicate how special our friendship was to him. Generally, he made a point of communicating a happy, positive and optimistic tone. I did not know, of course, that that would be our last conversation but that conversation was very typical of Michael: he was always thinking about the well being of other people. This will be my last article for The Gantseh Megillah. On one hand, I am excited about becoming involved in other activities, as I will be graduating from high school this June. On the other hand, I am very much going to miss writing for the Gantseh Megillah. It is very challenging for me to accept that Michael will never in the future be able to tell me, "That was a wonderful article that you wrote." I will miss Michael as a person, as a friend and as a mentor. 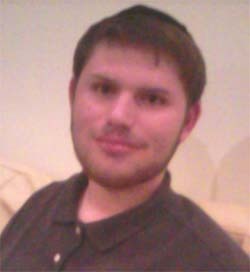 I will never forget Michael Hanna-Fein.